Gaslighting is a form of emotional abuse that occurs in many relationships and can unfortunately be difficult to detect. Experts in the field have formally defined the term, gaslighting, as a manipulation tactic used on another individual to make them question their own sanity as a means to gain power or control. They will always test your trust, make you question yourself, and try to make you believe others aren’t trustworthy as well. While you may be thinking you would never fall for this kind of brainwash, it is actually very effective and something anyone could fall victim to. The manipulator typically eases his victim into the manipulation slowly as to blind them from how much harm is actually being done. The sly and deceitful characteristics of gaslighting is what makes it so important to identify before it is too late. 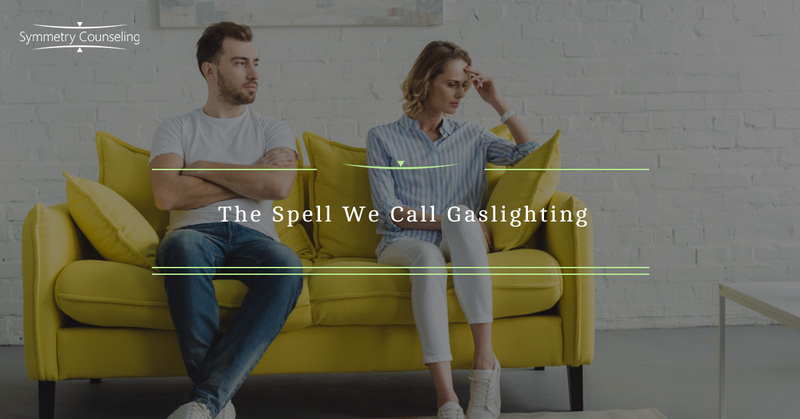 Below are a few common warning signs of gaslighting in relationships that may help you spot it before the spell takes its toll. The individual gaslighting you will consistently lie regardless of proof. You may know they are lying but they insist (with a straight face) that they are being truthful and honest. By leading you to question their honesty, they are creating a dynamic where you are always “unsure” what to believe. The lies are usually the beginning of a unhealthy and abusive pattern. Similar to the obvious lies being told, the abuser will continue to convince you that you are wrong in other ways as well. For example, you may know you heard them tell you that they would take the garbage out, yet they never did. When you confront them about it, they would deny they ever said they would take it out even though you know you heard them. You may begin to believe they are right and maybe you are going “crazy”. At the end of the day, their actions and words aren’t matching up. Over time, the manipulator will use criticism as a means to break you down and facilitate the belief that you are unstable and unworthy. They may begin to attack your character, your mental health, what you love, and what you believe. They may say things like, “Maybe if you weren’t so crazy, maybe you would have more friends” or “You shouldn’t have had kids, they deserve someone who is more…”. Be aware of how your significant other speaks to you and these will feel more alarming rather than truth. As humans we tend to enjoy stability and consistency. Those who engage in gaslighting try their best to do the exact opposite; they create an unstable environment with constant confusion and question. The abuser knows that when the victim wants clarity, they will look to them for certainty which is going to perpetuate the cycle. At the end of it all, the goal is that you feel so beaten down and exhausted that you give them control. Once exhaustion is achieved, they now have the power to manipulate, control, and do anything they desire. It is important to try to see the signs of gaslighting before this point, but that isn’t always the case. If you are feeling exhausted in your relationship or feel like a shell of your former self, consider what is best for you and your mental health. It isn’t always easy to leave, but it may be worth considering how the relationship has negatively impacted you over time. If you are finding it difficult to see the warning signs of gaslighting and would like some support, it may be useful to connect with a therapist. Contact Symmetry Counseling at 312-578-9990 to set up an appointment with one of our very skilled therapists today!